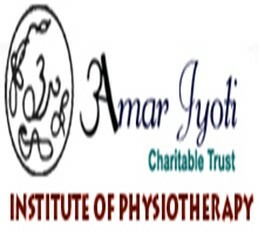 Amar Jyoti Institute of Physiotherapy BPT admissions will be done on the basis of entrance exam conducted by the institute. Information Brochure has been released, the application process for 2018 batches has started from 30 April 2018. Candidates can apply for Amar Jyoti Institute of Physiotherapy BPT here and also get all the related information from this page. This institution offers 4 ½ years Bachelor program of Physiotherapy including six-month Internship and it also offers MPT course. Candidates who are willing to get admission in BPT program have to appear in the entrance examination conducted by the institution. The candidates who will appear this year in the entrance exam conducted by the Amar Jyoti Institute can check their name on the list. The candidates are suggested to follow the link given below to check the result once it is released. This page gives information on Bachelor of Physiotherapy (BPT) offered by Amar Jyoti Institute of physiotherapy. The candidate must have clear Senior School Certificate Examination of the Central Board of Secondary Education (10+2)/ Indian School Certificate Examination/ Intermediate/ Pre-Medical Examination or an examination recognised as equivalent. Candidate should be declared overall passed on the mark sheet. Eligibility for NRI Candidates: Selection will be made on the basis of academic merit (in qualifying examination i.e. 10+2) as well as an interview. NRI Sponsored Candidates do not have to appear for the entrance examination. The candidate must have secured a minimum of 50% marks or more (45% marks or more for reserved category) in the aggregate of four subjects (Physics, Chemistry, Biology/ Biotechnology and English Core) as the main subject provided the student has passed each subject separately. Candidate can fill the application form by online or offline mode. Candidates who fill the application form through online mode have to pay the application fee through Credit Card/ Debit Card/ Net Banking etc. And those candidates who fill the application form through offline mode have to submit their filled application form at the institute address along with the correct amount of Demand Draft. Payment of the Application Fee: Application fee can be paid by cash or through account payee demand draft drawn in favour of "Amar Jyoti Charitable Trust (BPT)", Payable at Delhi on or before 4.00 p.m. 18 June 2018. Online Application: Candidates who apply online have to fill and submit the application form ONLINE only. Candidates will get their admit card for entrance examination via email by the administrative office after 5 working days of receiving the acknowledgement or latest by 4 days prior to the examination. The candidate has to carry the printout of admit card at an examination centre. Candidate can collect the Admit Card from administrative office also. The candidates are requested to carry the printout of the Admit Card for the entrance examination. The fee for the offline and online applications are different and according to the category. The candidates belonging to the respective categories must pay their application fee accordingly. The fee has to be paid through online mode that is Credit Card/ Debit Card/ Net Banking. The Application fee once paid by the candidates is non-refundable. The candidates can also check the Annual Course Fee structure on this page below. The Application fee once paid by the candidates is non-refundable. The candidates can also check the Annual Course Fee structure on this page below. The results of BPT Exam will be announced after 7 days of the exam commenced. The candidates can check their results by following the link given below. It is to be noted here that the institute will not send any intimation about the result to any candidate. The Institute will release the result as in the form of the list. The candidates can search for their name in the result list. Candidate will be selected on the basis of merit of Entrance examination, qualifying examination i.e. 10+2, Interview. Here is the list of the document mentioned below which required to submit at the time of counselling. Certificate from prescribed authority for Candidate seeking admission under Reserved Category. Examination duration will be three (3) hours and all questions are the objective type which based on the Senior School Certificate (10+2) curriculum of Physics, Chemistry, Biology and will also include questions in General Knowledge. Here is the BPT syllabus mentioned below for entrance examination. The syllabus is based on the previous year information, if there would be any change this year, it would be updated. There are total 30 seats offered in the Amar Jyoti Institute for the BPT course. The category wise classification of the seats for BPT course is given in the table below. The candidates are therefore suggested to go through the table below.